1. 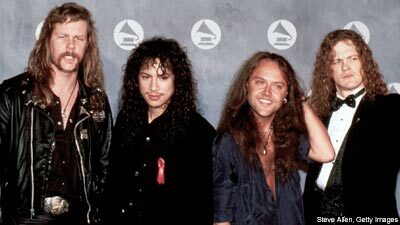 The first GRAMMY for Best Hard Rock/Metal Performance was given in 1988…and Jethro Tull won for “Crest of a Knave” over Metallica, AC/DC, Iggy Pop, and Jane’s Addiction. The award was presented by Alice Cooper and Lita Ford, and a couple of snakes. This moment is the most iconic and discussed GRAMMY moment in rock and metal; representing the learning curve as heavier music became popular. Tune in to this year’s GRAMMYs on January 26th as Metallica performs again! 2. The first rock GRAMMYs were presented in 1979…and Bob Dylan won Best Rock Vocal Performance for “Gotta Serve Somebody”. It was the legendary lyricist’s first GRAMMY. 4. Stone Temple Pilots won Best Hard Rock Performance with Vocal for 1993’s Plush, marking a shift in rock music to the era of Grunge, a quickly popularized movement. It was STP’s first album. 5. At the 54th Annual GRAMMY Awards in 2011, Foo Fighters swept the Rock category; the first time any band has accomplished this in the category. Tune in on Sunday, January 26th to see who wins the rock awards this year!